Opinion What about Kasandra Perkins? Now that the dust has settled after our nation’s 2014 elections across the country, here is my two cents worth on what has happened during the last couple of years, and what it means now. First and foremost, congratulations to the National Republican Committee. They had a 50-state plan, and they implemented their plan with dogmatic discipline and with little or no deviation by candidates, or state strategists’ preferences. During the election, I was in four different states and heard the same theme uttered from Republican candidate to Republican candidate in all four of them: “This Democratic candidate “X” voted 99 percent of the time with Obama. This Democratic candidate “Y” voted with Obama 92 percent of the time.” This theme resonated in every state that I visited. It was clear that this strategy was initiated at the highest levels of the Republican Party and was expected to be carried out in every race in the country where there was a Republican candidate who had served in an elected position and there was an opportunity to line up on the “Republican side” of issues or on the “Obama side” of issues in the forefront of the American people. In my home state of Colorado, I was afraid that we Democrats were going to lose the U.S. Senate race, the governor’s race, and the majority hold to both chambers of the Colorado legislature. My having served on the most recent Colorado Reapportionment Commission in 2010, where we crafted the districts based upon access to a fair process for candidates from each predominant party, I thought that the House and the Senate of Colorado were competitive but with a positive edge of advantage to Democrats in that Democrats had been at a disadvantage up to 2010. However, given the lack of passion for the principles for which many Democratic elected officials coupled with victories on other issues over the past six years, two days before the 2014 midterm election, I was fearful that we were going to lose it all in Colorado. Our Democratic base did not vote its winning capacity, and the Republican ground game was also better than ours. Of the political consultants the Democratic Party had hired very few, if any, minority consultants were contracted to fill in their blind spots on data mining for voters. This same unsuccessful strategy model was applied on Amendment 66 in Colorado as well. Unfortunately, we Democrats had little to no respect for, and therefore almost invisible identification with, the accomplishments of President Obama, who had accumulated a litany of successes. We, as Democrats, should have been proud of and owned up to our record of sterling accomplishments from 2008 to 2014: Gasoline prices are down, unemployment is down, health care accessibility is available to all, and, we even justifiably assassinated Osama Bin Laden. Not once, did we mention one Democratic success. This omission was the most shameful outcome of this 2014 election. We ran away from our successes – and Republicans fought against them, even though our efforts improved the lives of Americans. We should have been talking about everything from increasing the minimum wage across the nation to fighting to protect Medicare and Social Security and providing a national security plan to protect America. But we didn’t. Shame on us Democrats for not amplifying our improvements to the country. Elections are cyclical, and if we don’t have a message that resonates at the national level, the state level, and to the legislative level, we Democrats, will be a minority party and our nation’s minorities will be shoved back into the shadows of not mattering once again. The Democratic Party’s national leaders are going to have to broaden their consultant base to include younger pundits and more minorities into their think tanks for successful elections in the future. Lastly, mail ballots work better for higher income level voters than for middle and lower level income voters. As columnist George Will once asked, “In our democracy, is it too much to ask for voters to go to the polls to vote in person?” I think not. 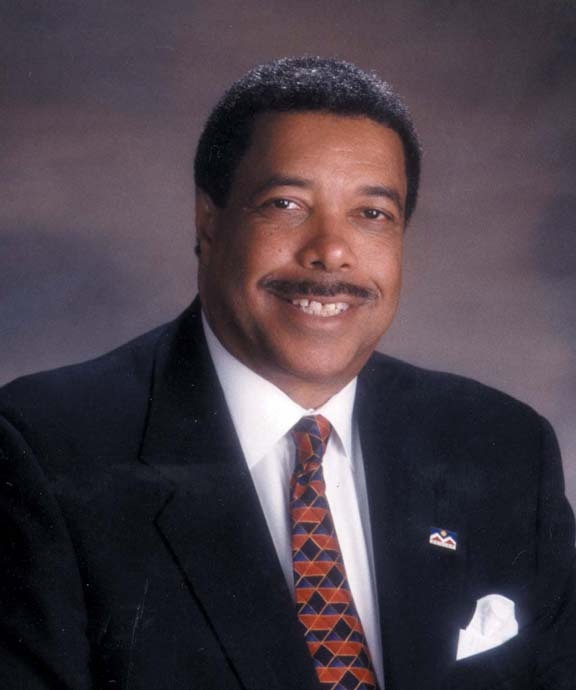 Wellington Webb served as mayor of Denver from 1991-2003. He is the only mayor in U.S. who has served as president of the U.S. Conference of Mayors, president of the National Conference of Black Mayors, and president of the National Conference of Democratic Mayors.